Have you ever noticed how snow appears to sparkle on a bright, sunny day? Let’s bring some of that wintry beauty indoors with a glittery snowflake. 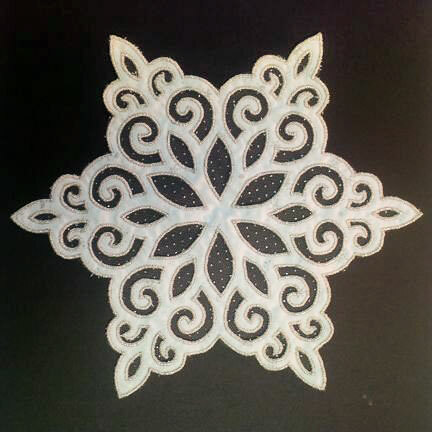 Yesterday, we learned how to make a lacy snowflake in a fraction of the time it would take for heirloom needlework. Now, we’ll take it one step further and add a little glitz to our creation. 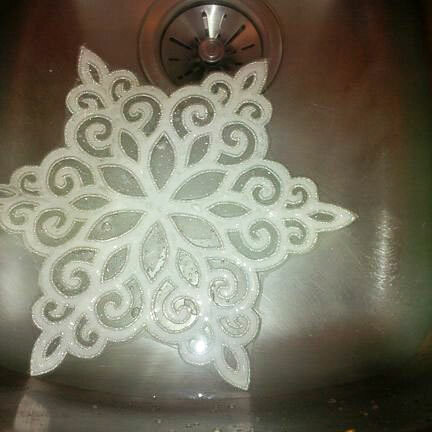 Trace your snowflake onto clear heavy-weight water-soluble stabilizer using a washable marker. I find that fabric markers don’t show up well on the Solvy; I have better success with the kids’ Crayola markers. Make sure the marker color shows up against your fabric. Layer two pieces of fabric, wrong sides together, and pin the marked Solvy on top. Sew through all three layers with a straight stitch on the marked lines. Then, cut out the fabric close to the stitching, but leave the Solvy uncut. 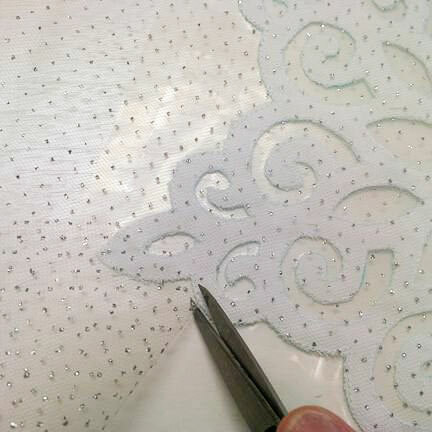 Layer the cut-out fabric snowflake onto a piece of glittery tulle or organza. 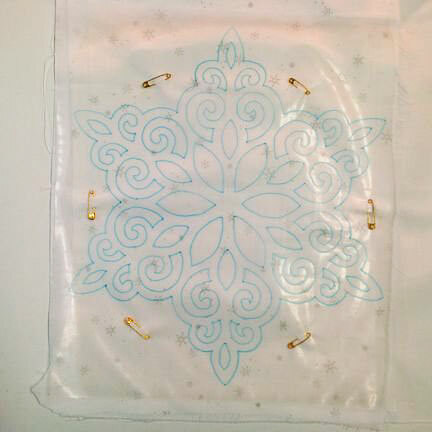 Pin and stitch around the outside edges with a straight stitch. Cut away the excess tulle close to the stitching. 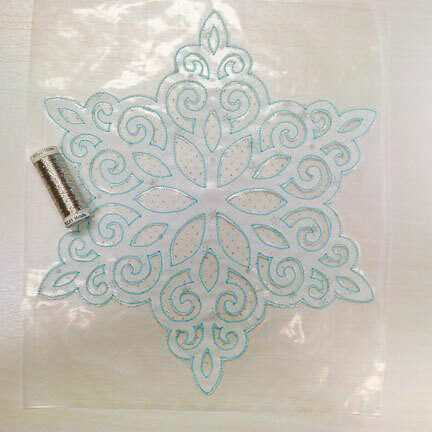 Now, the glittery tulle sparkles through the cutouts on the front side of your snowflake. Choose a metallic thread to match. Set your sewing machine to a satin stitch wide enough to cover the cut-out edges and the straight stitches. 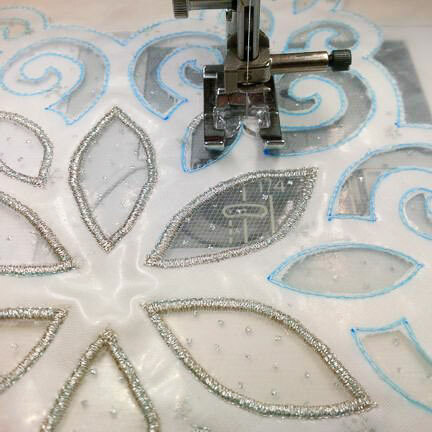 You may want to test the stitch on scrap fabric to find the best settings. Satin stitch around the cut-out edges. 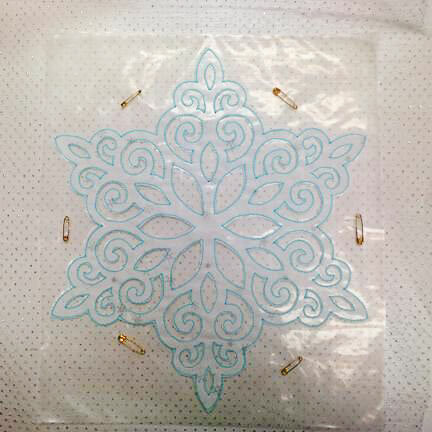 Read more about my three-pass approach for an excellent satin stitch in a previous post. 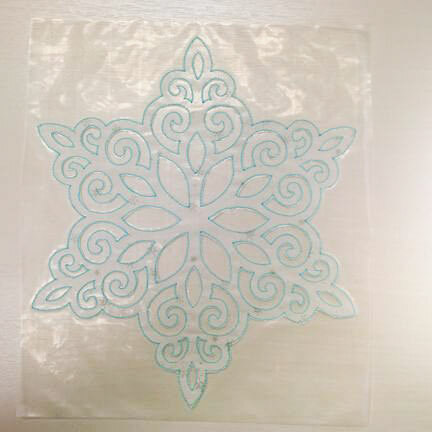 Once the stitching is complete, soak the fabric snowflake in water to dissolve the Solvy. You may want to frame this creation and proudly display it on a wall! 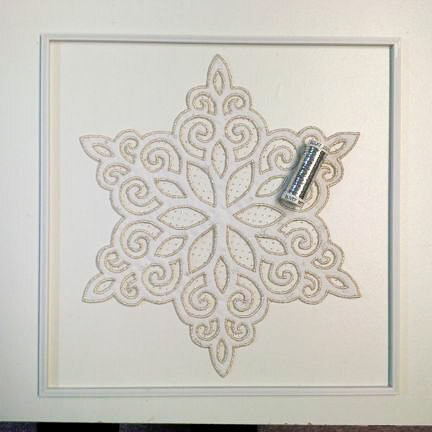 Try threading a piece of shiny Sulky Sliver through each snowflake point and suspending it in a shadow box. Wasn’t making a glittery snowflake fun? 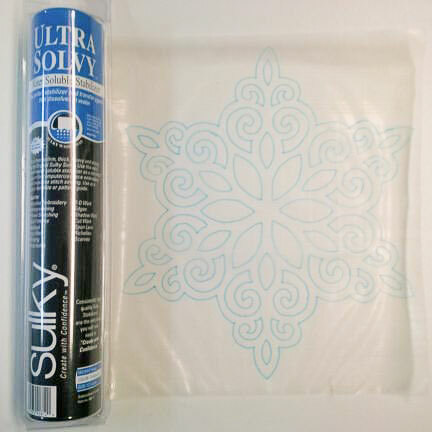 Doesn’t Sulky Ultra Solvy make cutwork embroidery a breeze? Soon, your home will be filled with heirloom needlework and only we’ll know the secret! 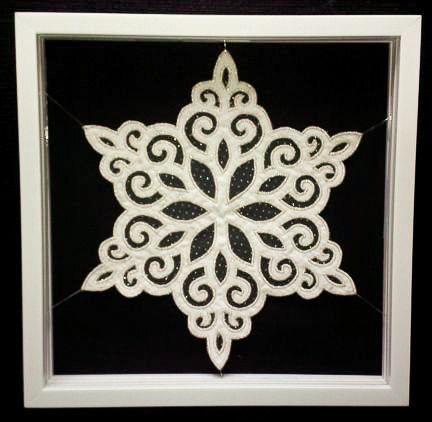 Stay with us tomorrow as we continue our cutwork journey and learn how to make a snowflake quilt block.